Hamilton New Orleans LA tickets are the talk of the town these days as the beloved musical gears up to hit the stage one more time. The timeless story of America’s founding father, Alexander Hamilton, will be coming to New Orleans in the spring of 2019 and you will not want to miss it. With the book, music and lyrics by Lin-Manuel Miranda, you can expect this run of the show to be as amazing as always. So get these Hamilton New Orleans LA tickets before it is too late. Hamilton will be coming to New Orleans to play at the famous Saenger Theater in March 2019. With multiple shows planned throughout the month, you will have plenty of opportunities to catch the award-winning musical. Hamilton tells the tale of Alexander Hamilton, the right-hand man of George Washington during the Revolutionary War. An immigrant from the West Indies, Hamilton went on to become the country’s first Treasury Secretary. The Broadway musical honors the eventful life of this man with a score that blends hip-hop, blues, rap, jazz and R&B. The direction of the musical is by Thomas Kail with choreography by Andy Blankenbuehler. Musical supervision and orchestrations have been handles by Alex Lacamoire, with scenic designs by David Korins, lighting deign by Howell Binkley and costume design by Paul Tazewell. 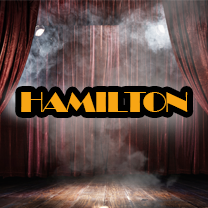 Hamilton has won countless awards and accolades since it first debuted on Broadway. In 2016, it received an impressive 16 Tony award nominations, winning in 11 of these categories. It has also won the Grammy Award for Best Musical Theater Album and the 2016 Pulitzer Prize for Drama. The Off-Broadway production of the show won the Drama Desk Award for Outstanding Musical in 2015 and received 14 Drama Desk Award nominations. Billboard has ranked Hamilton’s music second on its list of 25 Best Albums in 2015 while the Rolling Stone ranked it at number 8 on its 50 Best Albums of 2015 list. This popular drama is not to be missed – get your Hamilton New Orleans LA tickets as soon as you can! Q:When will Hamilton conclude its performances in New Orleans LA? A:Lin-Manuel Miranda's Hamilton will run its final show at New Orleans' Saenger Theatre on March 31, 2019. Our registered brokers have Hamilton tickets for that show so, get them at the earliest as they are selling out fast.